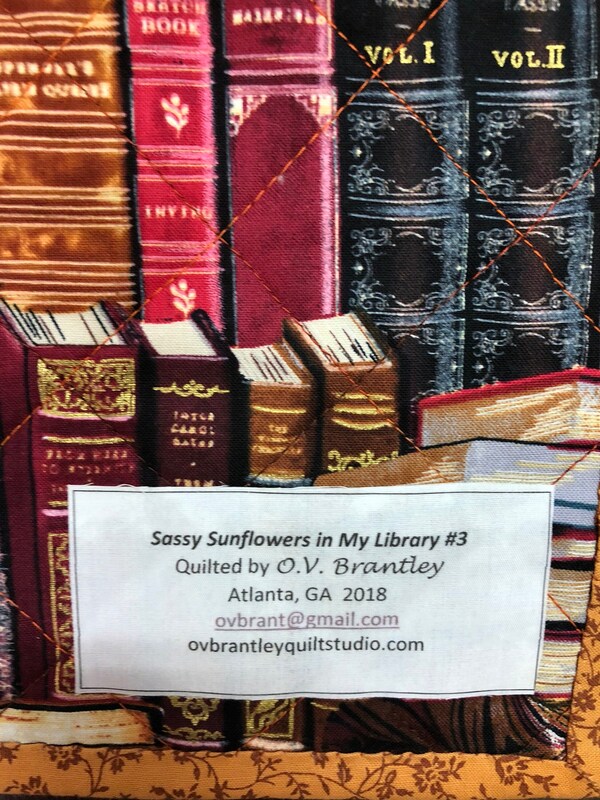 “Sassy Sunflowers in My Library #3” is a miniature quilt that measures just 10 x 10 inches. 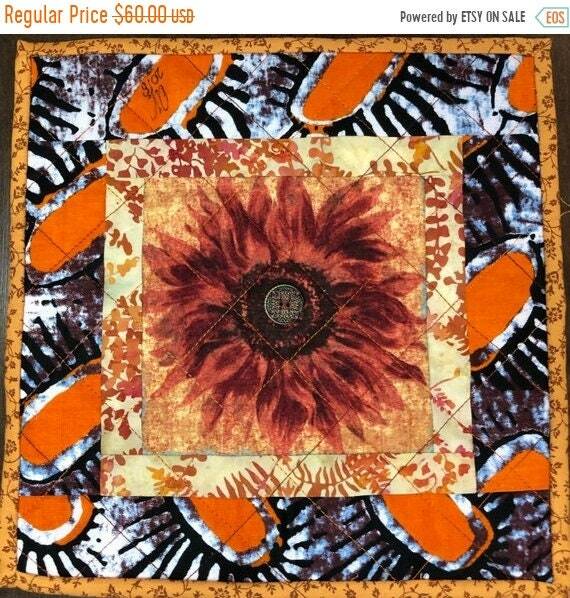 The quilt features a sunflower bordered by a batik and an African print. 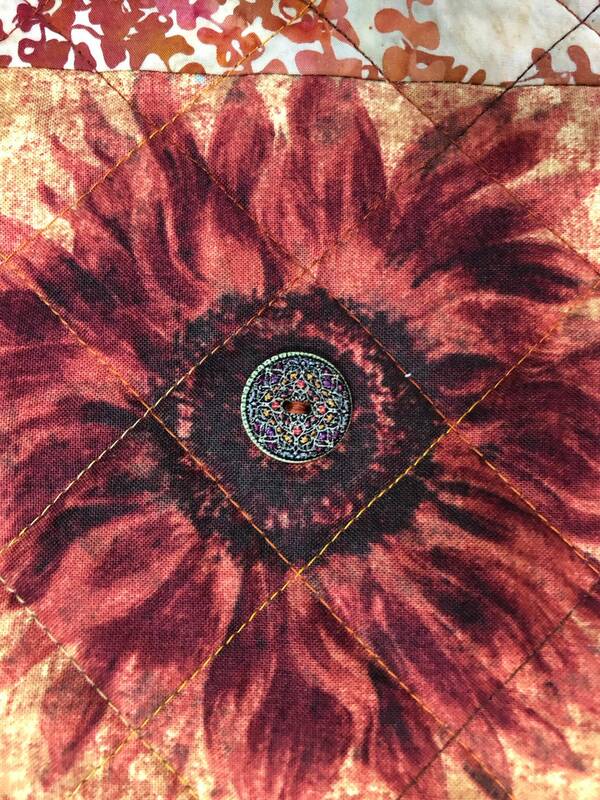 “Sassy Sunflowers in My Library #3” was pieced and quilted on my machine. It is embellished with a wooden, painted button. 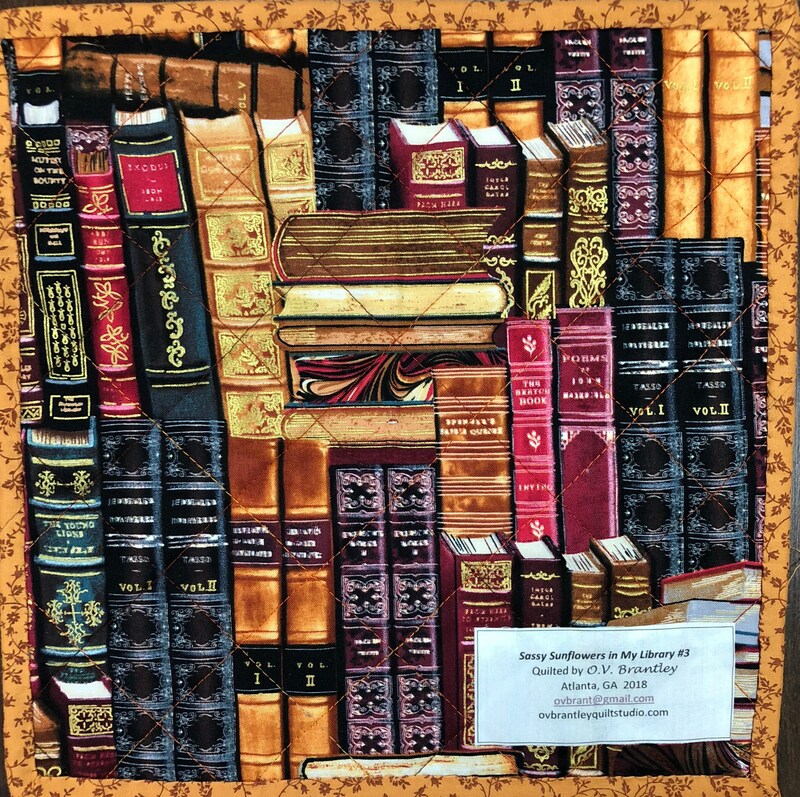 The back of the quilt is a library filled with books. 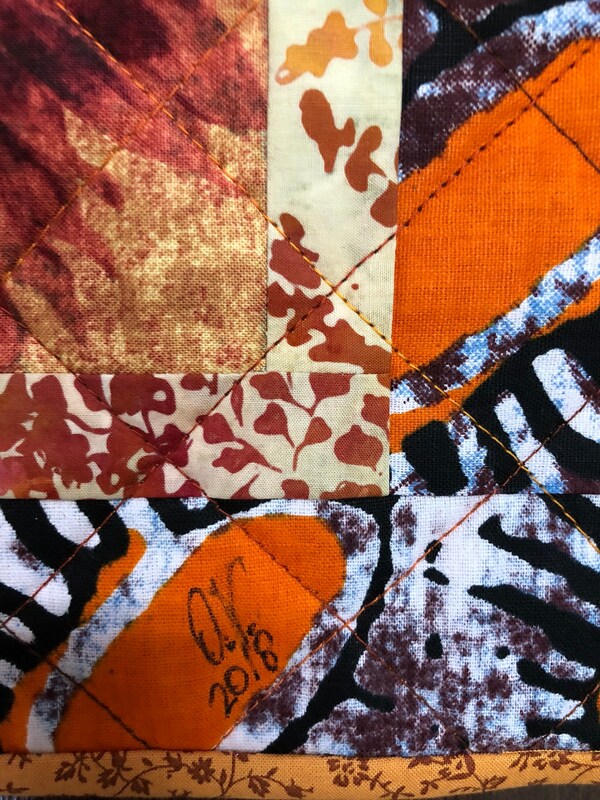 A label documents the quilt. Sassy Sunflowers in My Library #3 can be displayedt on the wall with a small tack or tape, or it can be framed.